Frieda Dahm passed away on August 28, 2018 at Aspirus Hospital with her family at her side. She was born on June 14, 1935 in Nuremberg, Germany to the late George and Christine Worlein. Frieda was the middle of 5 children and grew up in Heilsbronn, Germany. After completing secondary school, she moved to Lucern, Switzerland to work as a nanny. After working as a nanny, Frieda moved to Zurich, Switzerland and completed her nursing degree at the university. While home on vacation, she met the love of her life, Carl Dahm while he was in the service. They married in 1958 in Nuremburg. They had two children and moved back to the United States. They settled in Wausau, Wisconsin to be near Carl’s family. Frieda enjoyed gardening, traveling, camping, fishing, knitting, and spending time with her family and friends. 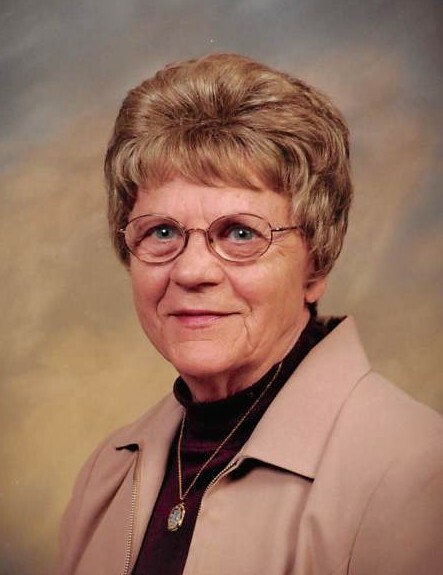 She was a part of Wausau’s first German Club where she loved speaking German with her friends and cooking German food. She will be greatly missed by her husband of 60 years, Carl, son, Fred, daughter, Shirley Drake (Bob) and grandchildren and great grandchildren, and extended family and friends. Frieda was preceded in death by granddaughters, Mallary Nicole, April Kristin, and 1 brother, Rudolf Worlein. Her life will be honored on, September 4, 2018 at Brainard Funeral Home in Wausau, Wisconsin. A visitation will start at 1:00 and short memorial service will begin at 2:00. Our family would like to extend heartfelt thanks to family and friends and the support staff at Aspirus Hospital, specifically the palliative care unit.